Here's a sampling of some of the new books you will be seeing here at the Greece Public Library in August. See if anything here looks tempting to you! 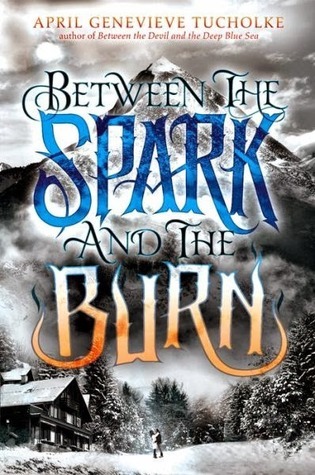 Between the Spark and the Burn by April Genevieve Tucholke is the conclusion to Between the Devil and The Deep Blue Sea, this gothic thriller romance with shades of Stephen King and Daphne du Maurier is a must-read for fans of Beautiful Creatures and Anna Dressed in Blood. Published on August 14, 2014. Do you like Horror? 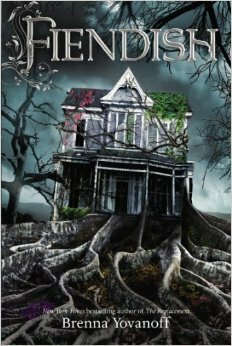 Try Fiendish by Brenna Yovanoff published 8/14/2014. When Clementine was a child, dangerous and inexplicable things started happening in New South Bend. The townsfolk blamed the fiendish people out in the Willows and burned their homes to the ground. But magic kept Clementine alive, walled up in the cellar for ten years, until a boy named Fisher sets her free. Back in the world, Clementine sets out to discover what happened all those years ago. But the truth gets muddled in her dangerous attraction to Fisher, the politics of New South Bend, and the Hollow, a fickle and terrifying place that seems increasingly temperamental ever since Clementine reemerged. Do you like realistic, edgy fiction? 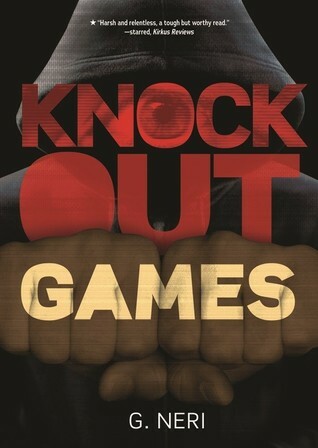 Knockout Games by G. Neri (a Teen Book Fest 2014 author!) is released 8/01/2014, but I am still waiting to receive our copy. Gary Anderson on Goodreads has this to say about this book "Maybe you’ve seen the videos. Random strangers attacked on city streets by kids who seem to have no purpose other than assaulting their victims. G. Neri, author of the Coretta Scott King Award-winning Yummy: The Last Days of a Southside Shorty, takes us inside a St. Louis knockout club, a group of middle school and high school kids dedicated to pursuing random violence and capturing it on video. Narrated by the newest member of the club, Erica (nicknamed Fish), a skilled video artist, Knockout Games is as brutal and edgy as it is authentic and important. Neri doesn’t provide easy answers for why attacking unsuspecting strangers is a gratifying experience for some young people, but readers gain insights into a street culture rarely glimpsed beyond those shocking videos." In the mood for a summer romance? Try Magnolia by Kristi Cook. In Magnolia Branch, Mississippi, The Cafferty and Marsden families are practically royalty. Neighbors since the Civil War, the families have shared vacations, holidays, backyard barbecues, and the overwhelming desire to unite their two clans by marriage. So when the families finally have a baby boy and girl at the same time, the perfect opportunity seems to have arrived. Except Jemma Cafferty and Ryder Marsden have no intention of giving in to their parents’ wishes. They’re only seventeen—oh, and also? They hate each other.